Just because we’re going crazy over CES, this week, doesn’t mean that we’re neglecting our clothes shopping addiction. 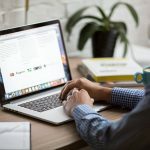 There’s tons to buy on ASOS at the moment, including socks, handbags and coats, and we’ve chosen our 10 favourites from this week’s ‘New In’ section, to save you the job of trawling through the website’s ever-growing range yourself. While it’s quite clearly not real gold, this necklace is so simple but so beautiful. You don’t need to be Middle Eastern to wear a Hamsa! 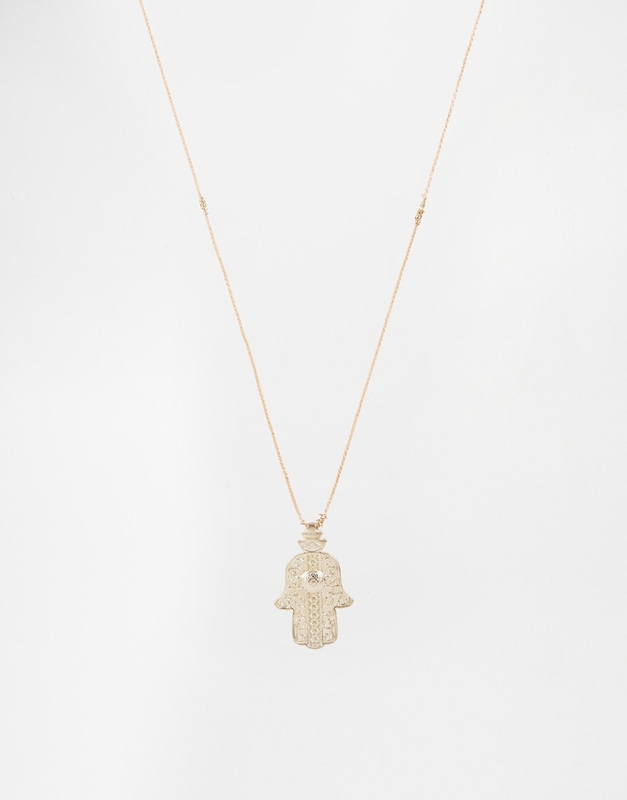 You can buy this Hamsa necklace from ASOS for £6. 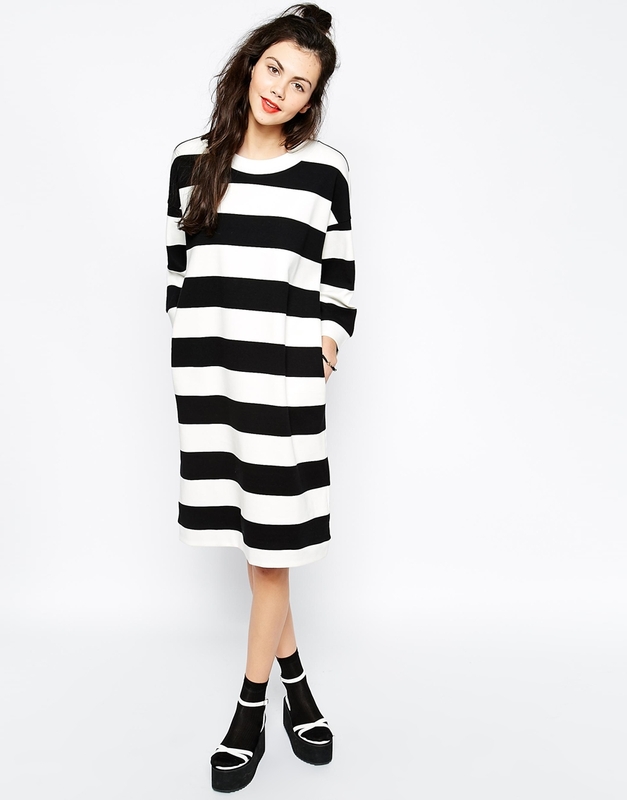 This dress from Monki just looks so cool and comfy. It’s one of those dresses you can just chuck on and go, but can also be dressed up with some heels and jewellery for cocktails. Plus, it’s got hidden pockets, which is something we absolutely love in a dress. This Monki dress is available from ASOS for £30. Yes, they’re just socks, but they’re so cute! We do love a bit of Shrek, and having him and Fiona, as well as pink hearts, all over our tootsies would just make us very happy. 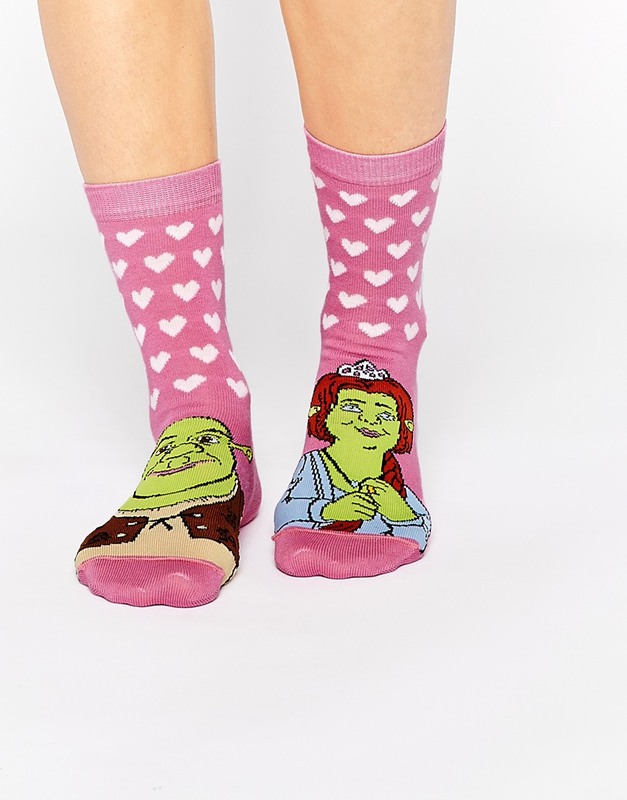 You can buy these Shrek socks from ASOS for £5. This cardigan is so cute in its pastel pink shade, and the shape is also really lovely. 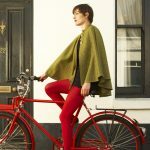 We can imagine wearing this on cosy weekends in with some leggings, or in place of a coat in the spring. You can buy this Noisy May cardigan from ASOS for £25. 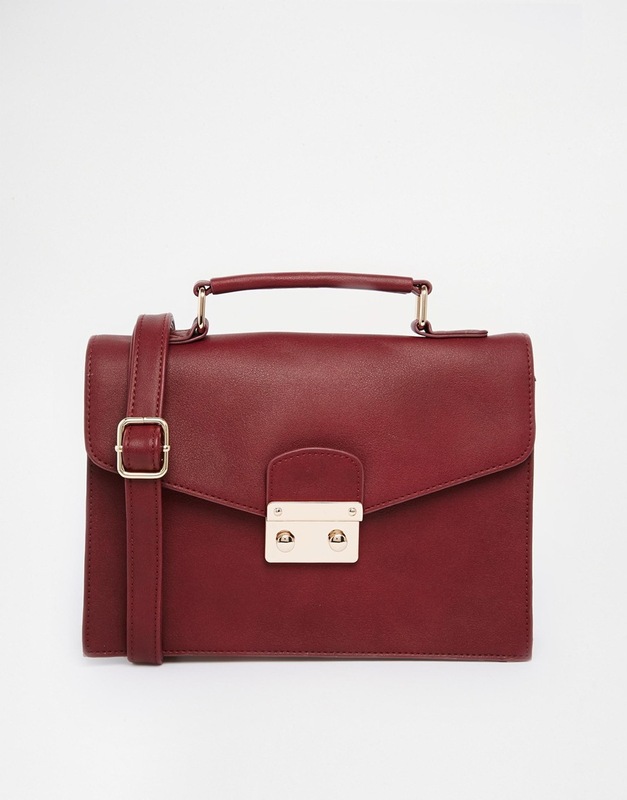 From its gorgeous colour through to its shape, this satchel bag is so perfect for smartening up any outfit. You can hold it using the shoulder strap or the handle, so it’s versatile too. This bag is available from ASOS for £22. We love this jumper, as it’s so appropriate to our lives. We can’t even remember a time when we weren’t hangry due to lack of food. It’s such a cute and funny jumper, and we’d be wearing it all the time with a pair of jeans. You can buy this hangry jumper from ASOS for £28. We love a good pair of strappy heels, and these metallic ones are gorgeous. We can imagine them just glowing in the dark on the dancefloor. Yes, our feet may hurt in them, but at least they’ll look pretty. Pain is gain! You can buy these heels from ASOS for £35. This gorgeous red jumpsuit is such a flattering shape – almost like a karate outfit. It can be dressed up for drinks or down for the office, and would look amazing with the heeled sandals on the previous page. You can buy this jumpsuit from ASOS for £50. We had no idea that American Apparel did bags, but we just love how shiny and metallic this clutch is. Wear it with the shiny heels, and you’ll be fit to go on a night out with the ShinyShiny team! 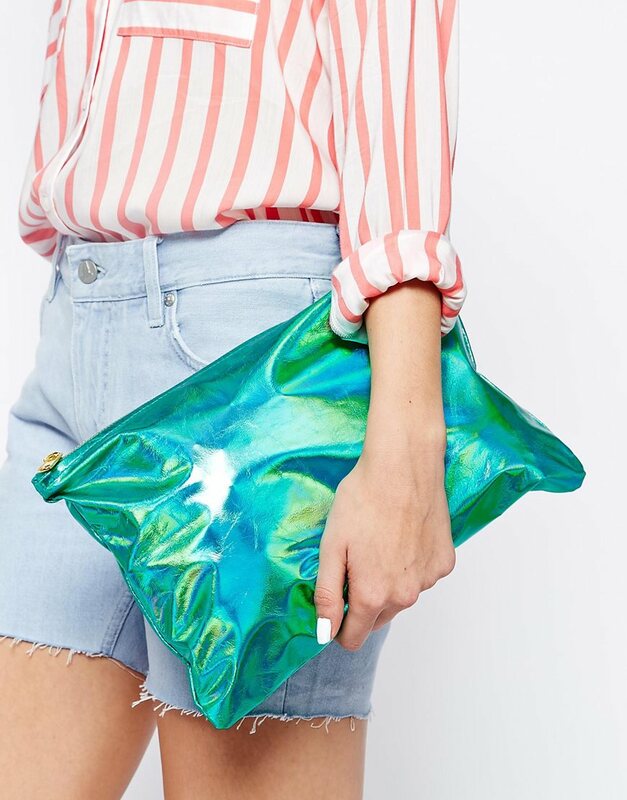 You can buy this American Apparel clutch bag from ASOS for £48. The quilting on this jacket is just so unique and beautiful, as well as the turquoise colour. It’s the perfect coat to get you ready for spring, or when it’s not cold enough to wear a huge duffel coat. This jacket is available from ASOS for £55.